Experience the northern part of Lombok’s village of Senaru where the two renowned waterfalls Sendang Gila and Tiu Kelep standing on the slopes of Mount Rinjani. It takes 2.5 hours driving from Katamaran Resort. You will pass Lendang Bajur traditional market and monkey forest. When you arrived at Sendang Gila waterfall you have to walk down approximately 20 minutes and you will be amazed by a cool breeze enveloping the rainforest. 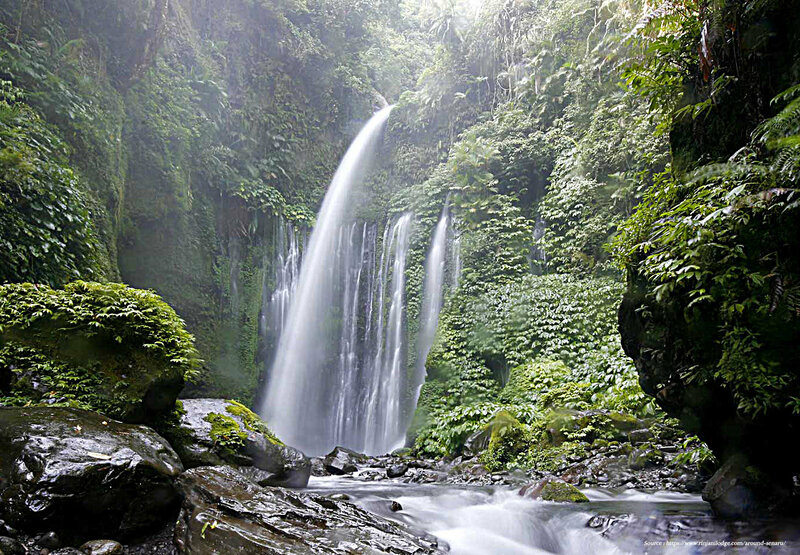 Continue a soft trekking around 30 minutes you will find Tiu Kelep waterfall where you can swim in cold water and take a rest alongside the pool formed by the waterfall.After that you will visit the old mosque of Bayan Beleq which build in 1600. It has a unique roof and wall architectures from bamboo. To enter the mosque you must use the Sasak traditional dresses and follow the rules. A traditional hand weaving village can be seen at the front of the mosque.